The Emile Henry Fish Steamer, made out of high resistance ceramic, steams fillets or whole fishovercooking without the need to add fat or oil. It features bottom ridges that keeps the fish above its own juices preventing overcooking. 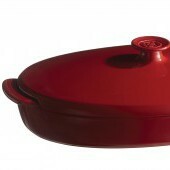 The lid traps flavors and aromas until serving and fits upside down in the base for compact storage. Bonnie: As Bryan and Eric can attest, I’ve always been a stickler about food safety — keeping my cold foods chilled and warm foods warm whether at home or on the go. Their school lunches were always packed with something to keep their meals chilled, either a cold pack or a frozen aseptic juice pack. 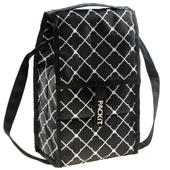 And I schlepped (and still do) a cooler filled with ice packs whenever food shopping on warm days. Use our Facebook "Like" button to let your friends know which of our posts you enjoy. Bonnie: “Rule the kitchen with this new Ninja Master Prep,” boasts the makers of this new kitchen appliance. 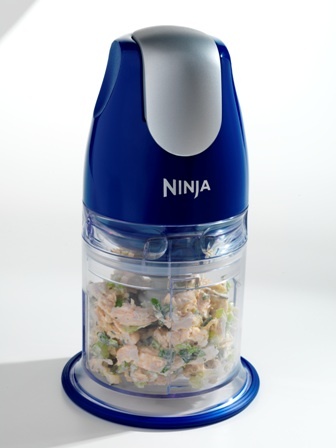 They claim that this under-$50 Ninja could dice more evenly than my expensive food processor and chop ice better than blenders. Bryan: Ok, so I’m not going to lie. I definitely felt a little twinge of “infomercial” when first seeing my Ninja Master Prep. 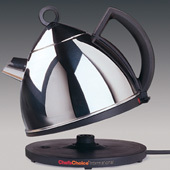 I mean, it slices, it dices… Don’t look at it the wrong way or it’ll kick your a$$! 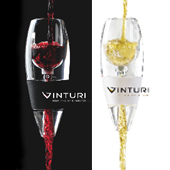 I heard the voice of kitchen gadget guru, Ron Popeil echoing in my head: “It’ll solve all your kitchen needs,” he whispered. “But I’ve heard that all before,” I answered. Bonnie: Last week, when in Des Moines, Iowa, I was at the home of Linda Funk, executive director of the Soyfoods Council. She served wine, cheese and chocolates. Soy foods, too. Bonnie: Who doesn’t love the taste of food cooked on a grill? Because of that, I use my outside gas one all year round — except when the snowdrifts don’t allow me to open the screen door. I’ve lugged charcoal, a chimney starter, newspaper, boxes of wooden matches and sometimes even a minigrill to tailgates, picnics and other outdoor gatherings. Sure it was a hassle, but there was no other option if we wanted grilled food. Until now. Bryan: Cooking over an open flame imparts a different taste, texture and essence to foods that can simply not be duplicated. 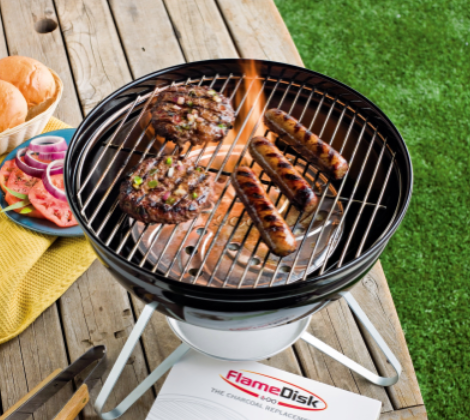 The love affair with the “open flame” has turned grilling into a staple of American cultural cuisine, with tailgating traditions and backyard BBQs woven through the fabric of our country’s culinary offerings. Bonnie: Most everyone loves brownies as they are easy to make — just combine a couple of ingredients and pour into a pan — and irresistibly decadent. Seriously, who can resist a warm brownie and a cold glass of milk? Some, like my friend Jan and I, prefer the gooey insides of baked brownies. Others look for the crusty edges, wishing for more. 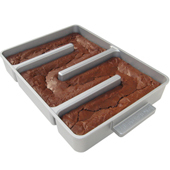 These brownie-edge lovers will take delight in this heavy-gauge, aluminum maze-shaped pan. The Baker’s Edge Brownie Pan holds 11 cups of batter, about one recipe or (heaven-forbid) a box mix of brownies, resulting in chewy edges on each and every brownie. Bonnie: My first real memory of French-press made coffee was at the home of my coffee-loving friends Frank and Mary Ellen, as they always served coffee from a French press. 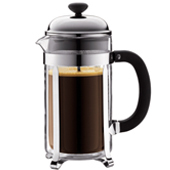 A large French press. The coffee they poured after pressing was always full bodied, rich, deliciously satisfying and hot. But my second cup (which I accepted only once) was always lukewarm. I drink my coffee steaming hot. I immediately thought of them as I heard about the double-walled (AKA insulated) French press coffee makers. 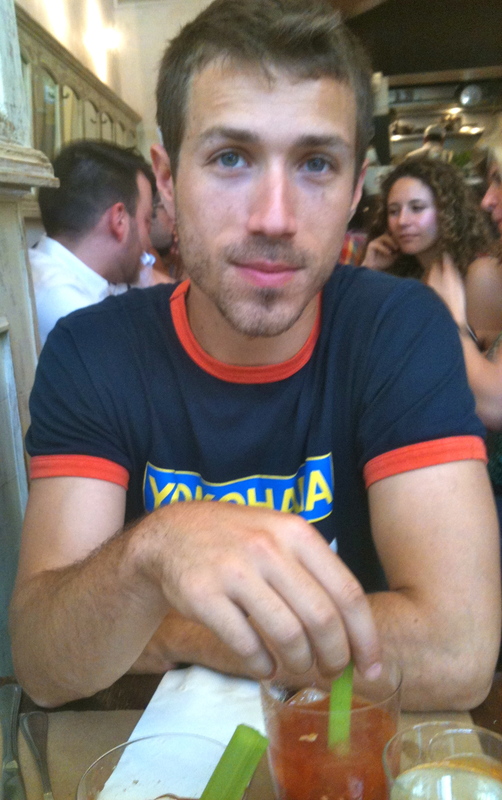 Eric: While I was studying in the Netherlands I would always start my morning (usually around 6 am due to the hospitality curriculum), with a large cup of French-press coffee. I never needed more than one American-sized cup, so I always opted for the simplicity of the Bodum 12-oz Chambord press, a compact unit that allowed for the perfect amount of brew. Bonnie: As a reader of our Bites, you know that each week we’ve promised to provide “outstanding products we’ve tried and recommend.” This week’s no different, although our selected FeaturedBite is neither food nor something found on your kitchen counter nor in its drawers. 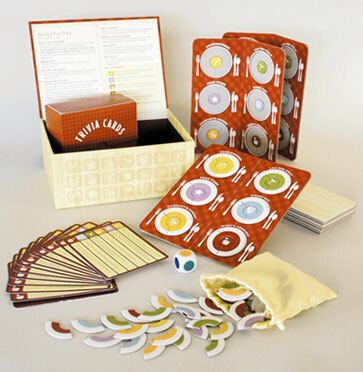 Instead it’s a game, one that came to my attention as part of a holiday gift from my friend (and client) Robin Miller (Food Network’s Quick Fix Meals). Bonnie: And now we present our second half-dozen or so holiday goodies to give your foodie friends. 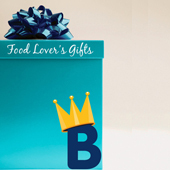 This week highlights food lovers’ gifts that can be used for cooking, eating or entertaining. Bryan: Not all foodie gifts need to be edible. Any good kitchen should be stocked with a plethora of gadgets, goodies and gizmos to bring your next Epicurean adventure to new heights. Here are a few Bites of the Best. Bonnie: When Eric was home visiting recently, we got to chatting about gadgets. Kitchen gadgets, of course. That’s when he raved about this new Tupperware can opener. I had to test it — especially since my electric one had died long ago. Bryan: My first experience with the new Tupperware can opener was a bit embarrassing. If you’ve ever seen 2001: A Space Odyssey, my introduction to this crazy device could be likened to the apes’ naive wonder at tools, though my confusion and fear, thankfully, transitioned to a triumphant celebration of a discovery. 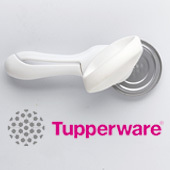 Eric: What I love about this can opener, aside from the fact that it is the easiest can opener I’ve ever used, was the little detail Tupperware added in making the job of opening a can (seemingly difficult among the elder members of the family) even easier. Bonnie: No matter how large (or small) the kitchen, all cooks grumble about counter space. We all want more. And we try to make what we do have most efficient. That’s where double-duty appliances come in, freeing up counter space. When the boys were growing up, my kitchen required both a toaster and a toaster oven. 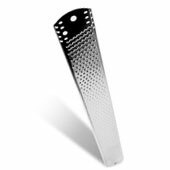 They used the latter more than any other appliance, relying on it to melt the cheese on their tuna melts. 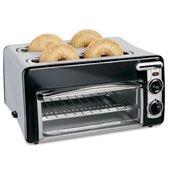 But they also needed a toaster for that open-face sandwich’s bagel. Both appliances remained on the counter top and in constant use. Bryan: Some of the most pleasing and equally dumbfounding moments at Bite of the Best are when we receive products that are as amazing as they are simple. It’s always the quirky gadgets that make me feel this way; I end up falling in love with a device based on how it fundamentally changes my kitchen while simultaneously kicking myself for not thinking of it on my own. Toastation tops the “why didn’t I think of that” scale by skillfully combining the two most common methods of toasting: the stand-up toaster and the toaster oven. Eric: While I was growing-up, the kitchen counter(s) in my mother’s house seemed more like the patent office for kitchen appliances; they were a testing ground for some of the best and the worst. For every food product that’s left you scratching your head in wonder about why a company would bother to produce it (or even think of it in the first place), there is an equally useless kitchen appliance. Bonnie: Cutting boards are a kitchen essential. Before telling you about this flexible one, I must digress as Eric’s posting about moving into his apartment sparked memories of starting out in my newlywed’s kitchen. 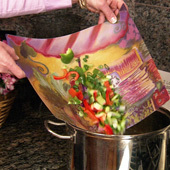 Bryan: This is truly a “must have” product for anybody who spends time in the kitchen; if you have not already seen Magic Slice’s flexible cutting boards, you are in for a treat today. Eric: I recently moved to Providence, RI, but before my move I looked at more than 20 apartments, each with distinct characteristics: low ceilings, small closets, grimy showers and even bullet holes – but none of which had an impact on me more than the apartment kitchen. 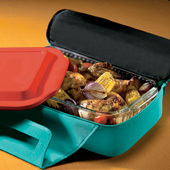 Bonnie: These Pyrex and CorningWare Portables make the food scientist in me very happy. You see, I’m a stickler for keeping foods at the proper temperature. In fact, some of my friends refer to me as “the food police.” But I’m sure if they knew what I’d learned in my food-borne bacteriology classes, they too would keep their hot foods hot and cold foods cold. And they wouldn’t leave any food at room temperature for more than two hours. Eric: I am a pushover for picnics and relish the opportunity to move away from the kitchen table and venture into a park for the occasional brunch (or dinner). For me, the picnic represents relaxation; it’s a retreat from the monotony of everyday dining, and a change from the daily kitchen-table meals. I can close my eyes now and smell the smoke of the BBQ and the scent of the freshly cut grass. 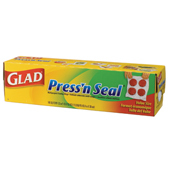 Bonnie: I first tried Press‘n Seal when testing it for consideration in Parade’s March “Live Longer, Better, Wiser™” issue a few years ago. It was love at first press. Seriously. As a doubting Taylor (Thomas is just too masculine) I didn’t think this plastic wrap would actually stick to paper, Styrofoam or wood. But it did…and still does. I raved about it to a friend, who of course wanted me to bring her a box the next time I visited her in Brussels, Belgium. That box is still above her stove, not because she doesn’t like it, but because she does. She’s hoarding it as she doesn’t want to run out. Bonnie: Since I renovated my home’s lower level, my bridge group plays there instead of in the kitchen/family room. It’s about 13 steps up to refill drinks using my instant boiling-water faucet, then down again with the full cups. Since this is a thirsty, tea-drinking group — at least when there’s a chill in the air — I began wondering how I could simplify the process of making them fresh tea. I certainly didn’t want to halt the game or to serve them only when I was the dummy (the player whose cards are exposed on the table and sits out the hand). Bonnie: Yes, yes BiteoftheBest.com is mainly about food. But when designing the site, I included the category of “Just for Fun” in case I tripped over a product that I couldn’t resist telling you about. 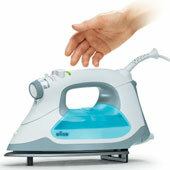 That’s this iron. No, I’m not Ms. Susie Homemaker—far from it. In fact, when the boys were younger and visiting friends, they noticed Sharon, their friends’ mom, handling something that they weren’t familiar with. “An iron,” Sharon giggled, as she continued ironing Josh’s undershirts. She ironed almost every piece of her family’s clothing. For me, it was all wash ‘n wear—clothing that I hung still damp to avoid wrinkles. Fast forward to last January when I attended the International Housewares Association (IHA) Preview in New York City. (It’s a glimpse of what will be showing at their annual convention in Chicago.) I generally attend for Parade magazine, as the deadline for the “Live Longer Better Wiser” issue is before the actual show, and I usually find a couple of items that we could use. Bonnie: We each have some kitchen appliances that stay on the countertop at all times. Others get put away, often never to be seen again. Did someone say bread machines? 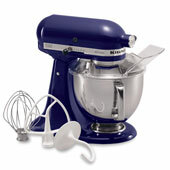 My KitchenAid stand mixer has been on my counter ready for use since I got it. 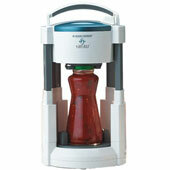 I use it often; as–with all its attachments–it’s versatile (some come with, others you need to buy separately). Before getting my stand mixer—when I was young, single and living in Manhattan—I used a handheld electric one that I bought at a going-out-of-business sale at a store on 23rd Street. The mixer was cheap. Seriously cheap. The box had been opened and the store owner just wanted to get rid of it. I remember thinking it would be worth the couple of bucks if it held up for a few uses. Bonnie: I don’t know when the love affair began. For as long as I can recall, I’ve been passionate about sparkling water, AKA seltzer or club soda.